I shared some fun staycation ideas for north central Oklahoma and then a great round-up of posts with ideas for over 80 cities a few weeks ago! A great resource for planning a staycation or getting extra ideas if you are vacationing in any of them. Today, I want to share with you 4 simple tips to make your summer of staycationing even more successful. Your kids will enjoy it more than they thought they would. See what your spouse and kids want to do. You might be surprised. One evening (over ice cream maybe) sit down and brainstorm all the fun things you could do around your town and then go around the table and have each person select their top picks. If your family is small enough, go around more than once and get 2nd and 3rd choices. When you decide what to do, be sure to hit everyone’s number one picks first. One of the fun things about having a big trip planned is the anticipation and counting down the days. If you put a summer calendar up in the kitchen and fill in when the events are going to happen, you’ll still have that build up. Little kids can count down the days to the outing to the zoo or trip to the amusement park. You know those things your kids just know you won’t let them do because you always say no or that they know not even to expect because you never do them? Shock them by saying yes, do the crazy that the mom in you wants to say no to. You might even be able to throw them for a loop by planning ice cream for breakfast one day. Okay, so I just said that counting down the days and writing things on the calendar is a way for your staycation to be more fun. I also think that surprises can be awesome! Have something up your sleeve for one of those days with nothing on the calendar. Wake your kids up in the morning, put them in the car and just go. Tell them then or wait until you arrive. I still remember when I was a kid when my parents didn’t tell us that friends from the state we moved from were coming to stay with us until we actually saw them! This year, we also took a weekend trip to our daughter’s favorite theme park and she didn’t figure it out until we were just a few miles away and she saw signs. With a little planning and little to no money you can take your staycation from typical to a summer they will remember. Next week, I have some staycation ideas for those of us that live in smaller towns. Taking one or two day trips to a big city is okay, but what about all the other days? I have some suggestions coming. 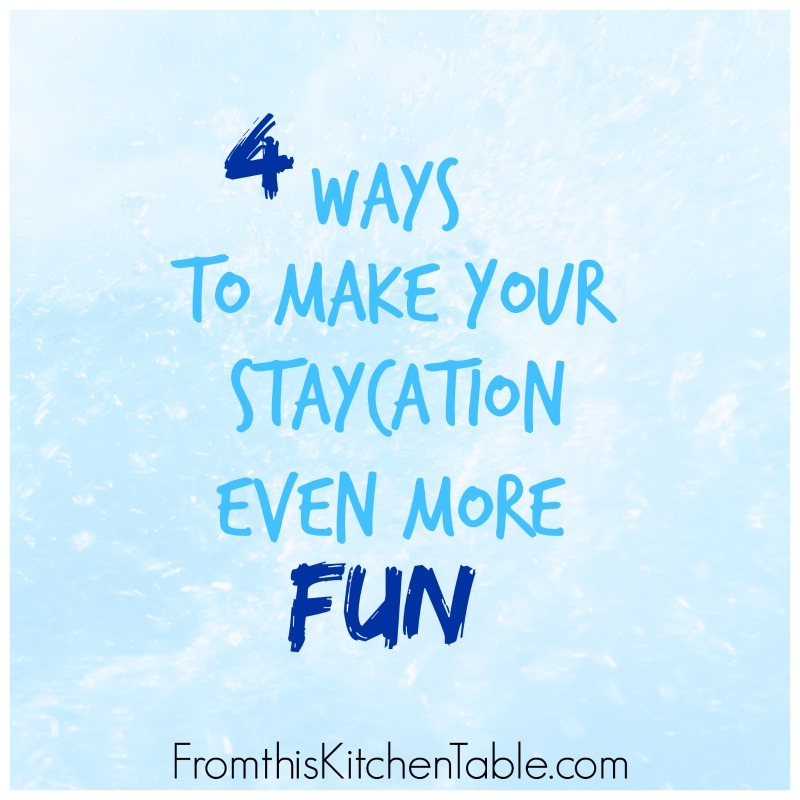 How do your plan for making your staycation even more fun? 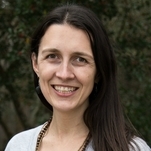 This entry was posted in Family, Uncategorized on July 3, 2014 by Deanna Michaels. We do mini vacations where we go away for 2-3 days here in the state. Once in a while we will pop over to Canada. These trips are usually without kiddo so we can just have some minutes to breath without any responsibility. It does us good to recharge. We follow some of these tips for getting the most out of our short times away. What great ideas! We still need to go on a couple get away. Maybe sometime when we are visiting my parents we can leave the kids with them for a few days. I think it is a good idea to teach our kids about staycations. It helps them become creative, use their imaginations, and also enjoy what we have, instead of always looking at the “green grass” on the other side. Great ideas! Thanks for sharing! So true! It’s important for our kids to appreciate the little things and learn how to have fun with anything. Thanks for commenting. I love staycations!! Its nice to do fun and free things around your home town then having to spend alot of money. Plus I think they help make the best memories and you stilll can have a fun summer!! Thanks for coming over and sharing at Happiness is Homemade Link Party, You are being featured on Sunday so make sure to come over grab our button and link up again!!! Staycations can be so relaxing! You are so right, sometimes the simple things really do make the best memories. Thank you so much for hosting and for the feature. Pingback: The Lady Prefers 2 Save | Happiness is Homemade #28 Linky Party Is Now Live! Thanks! Staycations can be a lot of fun. Thanks for hosting and for the feature.